Johann Peter Faulring was born in Moggenbrunn, Saxony Coburg-Gotha on April 11, 18281, the second child and first son of Johann Friedrich Faulring and Anna Margaretha Zapf. He was baptized on May 4, 1833 at the Church in nearby in Meeder1. He grew up on the family farm in Moggenbrunn, where he received his education and learned the art of farming. Peter came to America in 1852, prior to his parents and, presumably, after completing his military obligation. Research by Otwin Joring on Coburg Emigrants shows that Johann Peter and his sister Margaretha Elisabetha left Moggenbrunn in June 18525. They sailed for America from the port of Bremen aboard the ship Richard Anderson. After a 50 day voyage, they arrived in New York on August 11, and they likely traveled to Western New York by steam boat to Albany and railroad to Buffalo. Peter settled in the Boston Valley, likely in the Town of Concord, Erie County, New York, where he was joined by his parents in January 1854. It was there that Peter met and married Rosa Foster in the late 1850s. In 1864, he purchased a lot on White St., just south of the Village of Springville7, where he settled with his growing family. We know very little about Rosa, whose family name is found in her daughter's marriage record. Rosa's name, however, suggests she was the sister who attracted Barbara Foerster to Springville. Such a connection would explain how Barbara ended up marrying Peter's brother, Casper. Peter and Rosa continued to live in Springville, where they began raising their family of five children. Later records show that their children went by the name Fowlring, an Anglicized version of their ancestral name. Unfortunately, Peter died sometime in 1869, at the age of 36, leaving his wife a widow. Then, on August 5, 1873, Rosa also died, leaving their children as orphans. Subsequently, the children became wards of Alva Dutton of East Concord. Only one of Peter's children, Rose, married, and she had no children of her own. Thus this line of the Faulring family is no longer extant. i. John W. Fowlring John was born about 186014, and he died on November 20, 194025.
ii. Rose A. Fowlring Rose was born about 186114, and she died on March 14, 193323. She married John A. Snurr. iii. 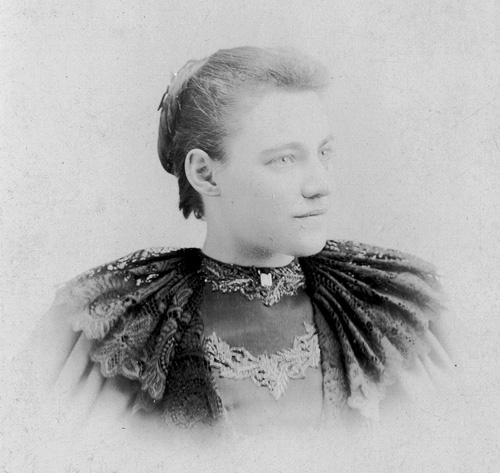 Augusta A. Fowlring. Augusta was born on July 8, 186424, and she on died September 13, 189824.
iv. Mary M. Fowlring Mary was born on January 2, 186724, and she died on January 3, 190524.
v. Sarah Fowlring Sarah was born on January 2, 186724 and she died on October 13, 188624. John W. Fowlring was born about 186014, the first child of Peter and Rose Faulring. After his listing in the 1870 Census, along with his mother and siblings, our main source of information on John's life comes from an newspaper article on his death25. According to this article, John obtained a dental certificate and was practicing dentistry as early as 1882. In 1884 he is reported to have moved to Albia, Iowa, where he continued to practice dentistry until his death. At one point during this period, he apparently divided his time between Albia and Batavia, another Iowa town. John probably died on October 20, 194025, although his body was not discovery until October 22nd. According to the 1900 Census, Rose Fowlring was born in July, 186126, the second child of Peter and Rosa Faulring. Her marriage record, however, gives her birth as July 14, 186023. Based on information in the 1870 Census, it seems likely that the 1861 date is correct14. After her father's death in the late 1860's she lived with her mother, until her death in 1873. The probate record of Peter Faulring's estate reveals that Rose and her siblings were under the guardianship of Alva Dutton8, who lived in East Concord. The probate papers state that Rose was in Chicago, Illinois at the time. Why and with whom is unknown. We know little about Rose until 1900, when she is again back in New York, living with Mrs. Margaret Crumb in East Otto26. Interestingly, her occupation is given as Nurse and it is likely that she was serving in this capacity for her Uncle John, who was ill at the time and died in 1901. Finally, in 1910 we find Rose living in Toledo, Ohio, married to John A. Snurr23. John and Rose were married there on July 14, 1905, and they continued to live in Toledo for the remainder of their lives. Rose died March 14, 193323, and John followed on October 29, 193523. They had no children. Augusta A. Fowlring was born July 8, 186424, the third child of Peter and Rosa Faulring. After the death of her mother, she came under the guardianship of Alva Dutton of East Concord8. In the 1880 Census, she is listed as the adopted daughter of Martha Dutton11, presumably the widow of Alva. Augusta died September 13, 1898 and is buried in Maplewood Cemetery, Springville, New York24. Mary M. Fowlring was born January 2, 186724, one of the twin daughters of Peter and Rosa Faulring. The 1880 Census lists her as a servant living with Chaucey and Margaret Crumb in East Otto15. Interestingly, Mary's older sister, Rose, was living with Margaret Crumb in 1900, working as a nurse. We know little else about Mary, who died January 3, 190524.